Time for toys blasting! To pass time and enjoy the relaxing Toy Cubes Pop 2019 ! 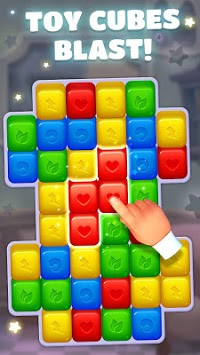 Toy Cubes Pop 2019 is a match 2 puzzle game with unique gameplay. There are almost 1000 levels in this toy cubes match 2 puzzle. 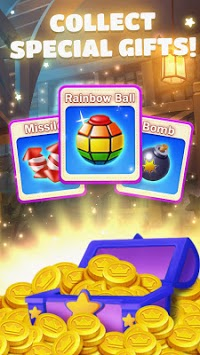 Tap 2 or more blocks of the same color to blast. Your purpose is to remove the blocks as many as possible. Clear away the barriers by eliminating blocks. Following the adventure and start your journey with friends. Blast the blocks and enjoy this adventure filled with cute toys. 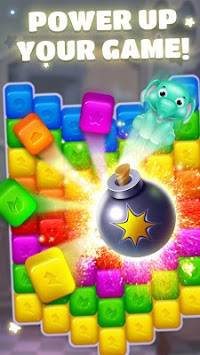 The best puzzle game will bring you endless fun! Download it now for free! Enjoy the cheerfulness in Toy Cubes Pop 2019. Internet is not necessary for cube blasting. You can play the game at anywhere anytime and addicted to this toy paradise. We are looking forward to you to challenge! - Brand new play game with amazing screen, quality graphic and vision effects. A big THANK YOU goes out to everyone who has played Toy Cubes Pop 2019! Start matching and spreading Toy Cubes Pop 2019 today!